kidslooklikekats: Pick Of The Week: "Canto On Guitar" (1970) By Baden Powell. 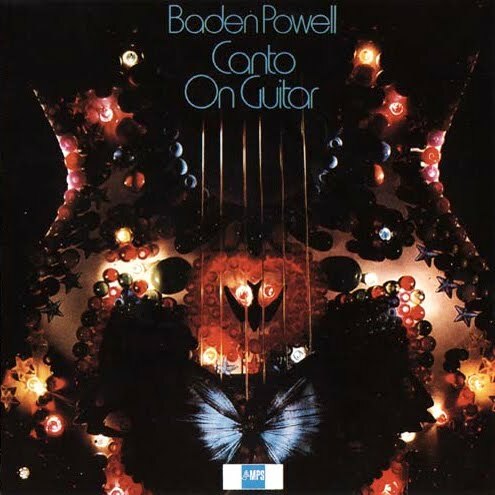 Pick Of The Week: "Canto On Guitar" (1970) By Baden Powell. Perhaps Brazil's most accomplished guitarist, Baden Powell possessed enough raw talent and unbridled emotion to fill the world twice over with a sense of natural wonder and awe. The six pieces comprising this beautiful and inspiring work of Samba-inspired classical guitar, especially the monumental "Tres Themas da Fé Afro-Brasileira/Pai (Um Canto de Préto ...)", offer some of the most passionate flamenco and samba music to come from Brazil at the outset of the 60s. Canto On Guitar is our very favorite this week. Tell us what you think!